"I want to see my people depicted as technological and cultural innovators in the past, present, and future." I'm K. Tempest Bradford, a queer, Black writer, editor, podcaster, media critic, and teacher currently roaming the world creating cool stuff, researching ancient Egypt, and doing my best to change the culture for the better. I've published a bunch of science fiction, fantasy, steampunk, and other kinds of speculative short stories. My major project at the moment is an Afrofuturist steampunk novel set in ancient Egypt. My essays, reviews, and media criticism have been published in venues as fancy as NPR and as geeky as io9 and a bunch of places in-between. I'm currently the co-host of the ORIGINALity podcast and have hosted and appeared on a few others. You can find my full bibliography and biography over on my website. I want to spend more time creating fiction and other meaningful content so I can put it out into the world. At the moment my main gig is teaching creative writing classes on how to create inclusive, diverse fiction for Writing the Other.com. I find this work incredibly fulfilling, though at the moment it provides uneven income. Due to mental health challenges I haven't been able to do full time work for the past five years, so I rely on freelancing. The silver lining is that I can do this work from anywhere, so I'm able to be a digital nomad. However, a more regular income will allow me to remain flexible yet still have some stability, which is super helpful for my mental health. I'm doing the direct support model because it allows me to connect with the people who enjoy my fiction or podcasts or tweet rants or essays and give them this content directly. Me producing related content like podcasts and video series. My activist activities online and in meatspace. Having a steady income means that I'll have the time to produce more fiction and put it out into the world. It also means I'll be able to set aside time to research and take research trips. Having the funds to do this has already made a huge difference in what I've written so far. 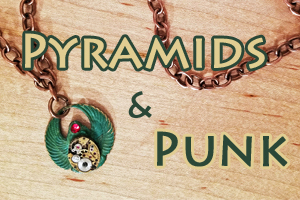 The steampunk Egypt novel I'm working on requires a ton of research as it's the most complex thing I've ever written. I'm determined to get this right as I want there to be more fiction in the world that depicts Black people as technological and cultural innovators in the past, present, and future. I'm also seriously tired of the way gender and gender roles are depicted in historical fiction and intend to challenge that status quo as well. I'll also occasionally use the funds to go to writing retreats or workshops to hone my craft. Having the ability to take time away from work to concentrate on writing will help me get this novel done faster. A steady income will also give me the time and mental space to concentrate on the creative endeavors that feed my writing, such as my podcast, and my social justice activism, such as my volunteer work for the Carl Brandon Society. Every month I'll publish a piece of microfiction and patrons get to see it before I release it to the public via my blog. In addition to the monthly microfiction, Patrons get access to exclusive content, some of which you get to choose! At the base level that might be an essay or a video blog post about my research, something cool from my adventures as a digital nomad, or even a virtual tour of some cool place or museum I'm visiting. I've also done Q&As, hangout sessions, and writing jams. Some months patrons will get to vote on which they'd like me to do. At the higher levels you get that content plus drafts of short stories, background scenes (DVD extra-esque), draft chapters from the novel I'm currently writing, and other cool stuff. Help me create more stories that (I hope) you'll love! Help me make this novel a reality! Help me keep podcasting and activisting and teaching and supporting the community and, with luck, making the culture better. No matter what level of support you give you have my gratitude and a place in my heart. Short written or video essays about my research. Virtual tours of cool places I visit. Tea Time with Tempest video chat hangouts. All patrons get to vote on the content they want to see each month. At the end of the year, all patrons get a Thank You card in the mail from me. Patrons on this tier don't get extra content, just heaps of appreciation for upping your pledge! An excerpt from the draft of my current work in progress. Microficition based on a piece of art (visual, musical, literary, other) you love. Private video chats once per month. An eBook or physical copy of any book I'm in or write that comes out while you're a current backer. A handmade chapbook of my microficition mailed every solstice and equinox. I can afford to pay rent in most places I go! When I reach this goal ALL patrons get the perks of the $5 Sneak A Peek tier.